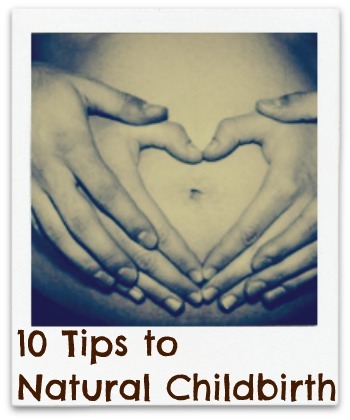 10 Tips to Having a Natural Childbirth - The Kennedy Adventures! We’re less than 2 weeks from the due date of Baby 5.0, and I’m planning a natural, unmedicated childbirth. If you’re considering the same path, I’m offering my best tips. I stumbled into natural childbirth by accident — I wanted to wait as long as I could before requesting an epidural. I managed to make it to the hospital crowning, due to sheer stubbornness. If I had learned more about coping techniques and the stages of labor, I might have been a little more calm. I read more about natural childbirth when I was pregnant with the boys. There are many schools of thought – one for every woman’s personality and needs. Research your area – check out natural parenting stores or your local ICAN chapter for supportive folks. During your prenatal visits, talk to your doctor. You CAN have a natural birth despite your doctor, but it helps if everyone is on the same team. If you’re planning a unmedicated birth, having your husband in your corner is vital. Don’t expect him to get excited as you do, but be sure and appreciate his support. You may find a doula to be helpful in your journey toward a natural childbirth. A doula is a trained, experienced woman who stays with your during your labor and birth. She serves as an advocate, takes the pressure off your husband, and offers continuous support and encouragement. You will hear plenty of nay-sayers chime in if you announce that you’re planning to go drug free with your birth. They’ll tell you you’re crazy, a martyr, or just plain nuts. If you don’t have a strong personality, you may start to falter. Surround yourself with people who support your decision, be it a home birth, a hospital birth, or somewhere between. Your team may include your doctor, your partner, your friends, or even some online community support. You may find support in unexpected places. 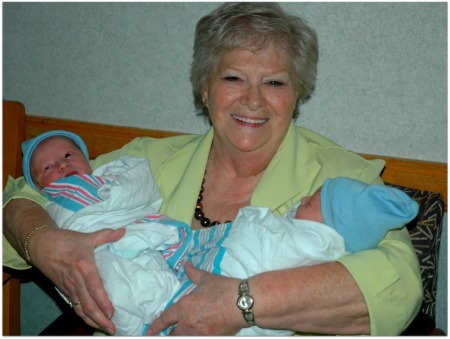 After my twins were born, I learned that my grandmother had my father at home …. he was her first baby, and weighed 10 pounds! I apparently come from a long line of strong mammas! Have an idea of how your labor will play out, and how you plan to handle it. I deal better with the stages of labor when I’m able to move around as I please. Want to walk in the park? Have friends and family stop by the hospital while you’re in labor? Write it down in your plan. I prefer to stay at home as long as possible. This way, I can wear my own clothes, eat what I want, shower, walk, squat – whatever makes me comfortable. I don’t know if it’s the way my babies place themselves, or if it’s because I’m only five foot tall, but I tend to have a lot of back pain in labor. When my labors get ramped up, you’ll find me in the shower, with the water hitting my lower back. Try the shower, or a soak in the tub to help cope with labor pains. For me, the worst part of labor is the car ride to the hospital. First off, I’m in transition at that point, and losing my marbles. Second, when we’re in the car, I can’t move. You’ll find me changing positions often — walking, standing with my weight propped against the wall, squatting, on all fours (hey, it looks ridiculous, but helps my back! ), or sitting on an exercise ball. Do what works for you. This is a tough one for me. I’ve gone to the hospital when I was ‘supposed to’, when my contractions were 5 minutes apart, on a regular basis. After an hour of monitoring, I was sent home, because my cervix was closed. I was back the next morning, crowning, ready to have my baby girl. With the boys, it was a similar story, only I had to end up staying overnight to be monitored. Not in my game plan, Stan. I tend to wait as long as I can before heading to the hospital — for me, there’s less chance I’ll be sent home, and I won’t have to argue about things I don’t want done. My poor husband, family and friends tend to get a little nervous, since we’re 20 min away from the hospital. Things may not work out according to your greatest birth plan, and that’s OK. Your primary goal is a healthy baby and healthy momma. Be ready for potential detours along the way. Have I missed one of your best tips for a natural childbirth? Be sure and leave a comment! This post is linked to Top Ten Tuesdays, Works for Me Wednesdays, The Mommy Club, and more! You may see affiliate links here. Yes, sometimes unexpected things occur that drastically alter your plans. But if any woman who desires an attempt at natural childbirth but is too fearful to commit–she must not be fearful. She must discover her own power. WE WERE BUILT FOR THIS. WE CAN DO IT, OUR BODIES KNOW HOW! You are exactly right, Kriston! This post has been on my mind for a while. I decided it needed to be written NOW, as I sat yesterday and had regular contractions for 3 hours, that piddled out into nothing. Patience. After I had Rachel — long story that’s actually not on the site yet, I felt amazing – not tired, but refreshed, and like SUPERWOMAN! I stopped thinking, and let my body take over. I even squatted in the bathroom at the hospital while I was giving a urine sample — I had NO clue how close I was to delivering her right there! On the way home, I thought, “I can do that again!” I had to fight to birth how I wanted with the boys, but it was so very worth it. Another resource I need to add is The Business of Being Born — holy hell, that was an eye opener, and I’m a nurse! These are great tips! A BIG reason we’re homebirthing this time around is that being in transition in the car is the absolute worst and I just do NOT want to do that again. I’m hoping that not having that stress will make the experience more peaceful and enjoyable than the previous ones have been. I know, right? I scare Brett to death every time. With Rachel, I moaned the whole way there. My oldest daughter was with us, and that probably scared her out of every having children. With the boys, I panted every inch of the way, because I knew if I took a breath, I’d push. That’s another reason I’m so anxious — I’m trying to find the magic spot between waiting too long and transitioning in the car, and heading to the hospital too early and not being able to walk, etc. I became a med free mama by complete accident with baby #2. Much like your story, I always planned on an epidural and I had one with #1. His delivery was pretty easy, but afterwards I felt like I’d been hit by a mack truck. It took me a LONG time to recover. I had no clue that it was all the drugs that had done that to me. I really thought that was just the aftermath of childbirth. With #2, I was determined to hold off from going to the hospital for the same reasons you listed above. I was trying to find that same line of how should I wait vs it’s time to go! With #2, I crossed that line and my water broke on the way to the hospital. I had her within 15 minutes of getting in the delivery room- med free! I felt like you mentioned- energized, refreshed, like superwoman!! 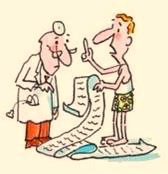 With my pain tolerance I never in a million years dreamt of going med free. What surprised me most was that I got up off the delivery table 15 minutes after delivering her and walked myself to the bathroom. Aside from soreness, my recovery was a cakewalk compared to the first one. That is probably the main reason I want to try for another med free birth if/when we are blessed with another little one. ABSOLUTELY! I remember going to the bathroom shortly after Rachel as well … felt so much better than after Abby. The epidural with her left me feeling weak and rubbery. Looking back on that labor now, as they were putting in the epidural, I was probably in transition. With a little education and support, I could have done that one natural, too. These are great tips. As a natural birther of 4 big babies I agree with everything you’ve written, especially the doula and especially if you’re gonna be at a hosptial. I would also recommend asking around for your doula and going with a more experienced one if possible. The doula’s job isn’t to fight the nurses, it’s to bring peace, calm, and help to the room. But none of my births would have been so successful – or even possible – if my husband didn’t support the decision. He was awesome, every time. Phew, girl, I bow down to you with those big babies! 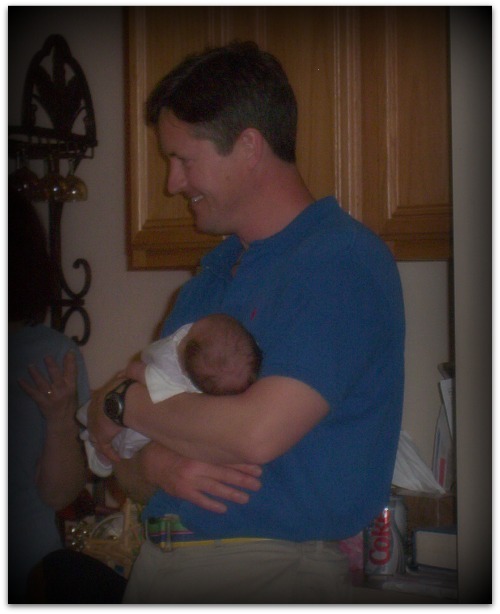 I’m betting this one of mine will be about 8 1/2 lbs — my girls were both 8 lbs, and the twins both were over 6 lbs. You’re exactly right — my husband is my rock — and manages to keep his head on straight, even when I’m not. So great to have you stop by! I’m looking forward to meeting you next year at Behold! Thanks for the encouragement! I’m 38 weeks and they want to induce me on June 7 (early?!?!). I had a horrible experience with my epidural during labor with my first child, so I’m going to do my best to go naturally this time (as I hear labor is often shorter!). It’s encouraging to be reminded to “be flexible” and have an open mind about what’s happening. I’m very anti- induction. I’m a firm believer in ‘babies come when they are ready’. My twins were born just shy of 38 weeks (37w,5days), and while they did fine, (NO NICU, came home in 3 days, etc) I noticed a big difference between them and my girls (born at 41 and 39 weeks). The boys seemed a little more irritable, didn’t nurse as well, until they hit 8lbs, which was right about their due date. Looking back on my first labor, with an epidural, like I was telling Leanne, I’m pretty sure I was in transition when they put it in. If I had known more, I probably could have held off and been OK.
Best of luck to you — please stop back by and let me know how things go! Love this! What a great resource and encouragement you are! One teeny add-on — i like to suggest out-of-hospital classes. Books are so fantastic, but the one thing the books (and movies) can’t prepare you for is your local birthing environment. After reading all the books, a mama might be ready and prepared to labor out of bed, but she shows up at the hospital and is required to stay in bed while when her water is broke. Then, all her coping mechanisms have to rapidly get re-arranged. Of course, as you mentioned, hooking up with your local ICAN chapter or birth network will also prepare you for local policies and trends. But speaking as a mama who was caught SO off guard once I walked in the hospital door, I encourage folks to get some local education 🙂 If I had known what I was walking into, I would have (or like to think I would have) run for the hills and switched to a better care provider & hospital. I’m so glad you came by to chime in!! You are precisely right — why do you think I’ve asked so many questions about my hospital, ad nauseum, over on Facebook? I was petrified of the unknown, since I was so used to my ‘old hospital’. I’m hoping to make it to Birth in the Bluegrass — I’ll be toting around a new baby by then! Much love to you, my buddy! Thank you for the wonderful reminder!!! My contractions have been super painful this evening, so that’s EXACTLY what I’ve been doing. As the contraction starts, I pray the Hail Mary (or two). On the way ‘down’ – “Jesus, I trust in You.” I’m offering these up for my MANY friends who are pregnant. Great to see you stop by! good luck!! I knew God wanted me to have my babies so I knew He would take care of it…that was enough to make labor worth it! I agree with everything you have posted! Thank you for sharing. 8 months ago today I had my first baby..9 lb 12 oz..at the hospital with no pain meds. I planned on it for 9 months and prayed for strength. As hard as it was, God have me strength, and I couldnt have done it without the support of my midwife and husband. I pray that I will be able to do the same with future children. Whoo! That’s a big baby! With my last baby, I prayed during labor — a LOT. She was posterior, so I had a LOT of back labor. Not pleasant!! Just realized that our babies are the same age! Maeve was born on the first of June! Yes, Mason was born May 26th, at 41 weeks. Did you have your twins all natural? I am amazed if you did. I would be so nervous. I am a twin and have twins in the family so I have this feeling that I will have twins one day. Actually, I DID have my twins with no medication! You can read that story here.